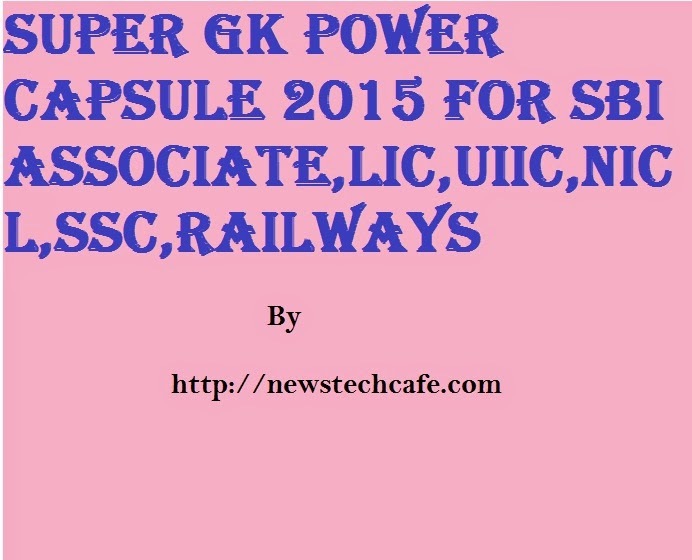 Newstechcafe.com is sharing Super GK Power Capsule 2015 for SBI,LIC,UIIC,NICL,SSC,Railway exams. This capsule includes the currents affairs of December 2014. Which proved to be very useful for upcoming examinations.